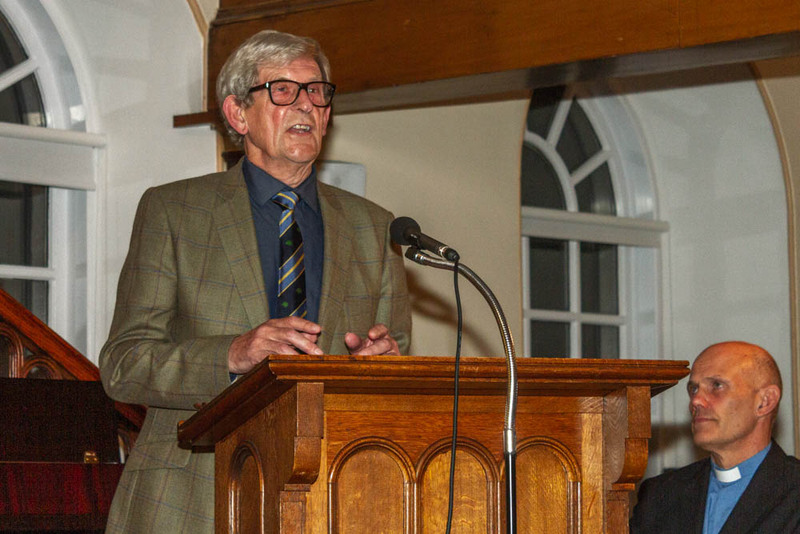 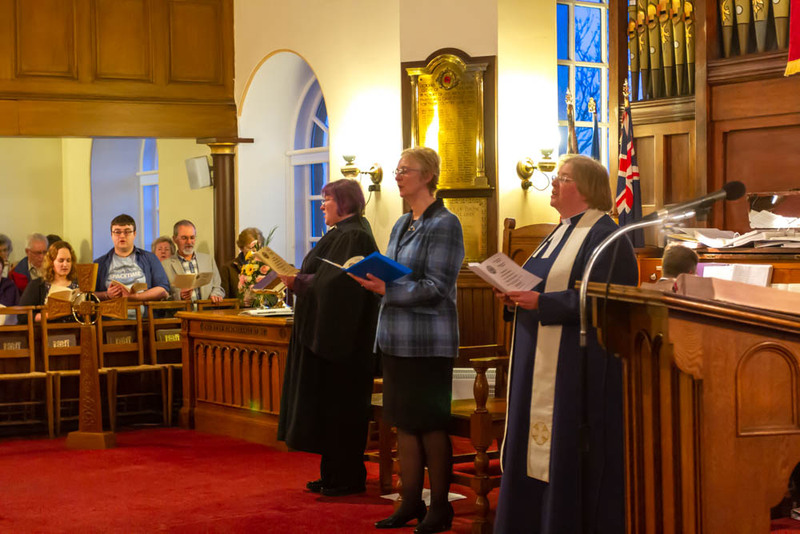 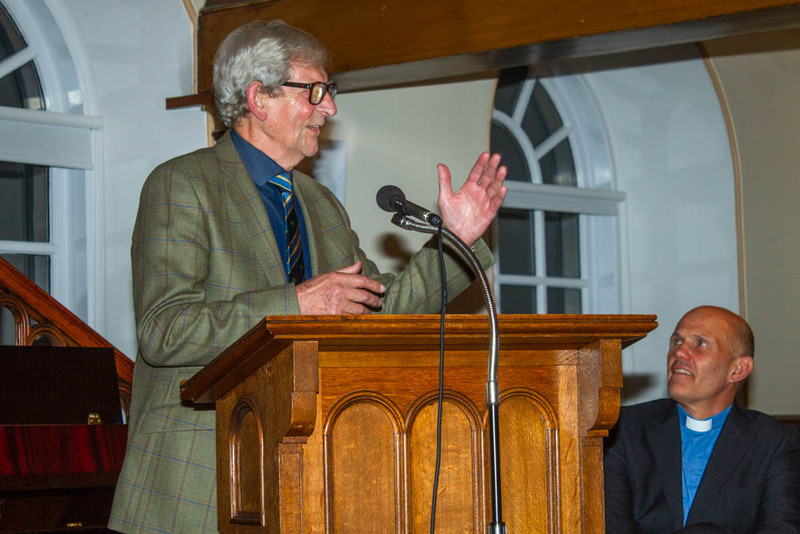 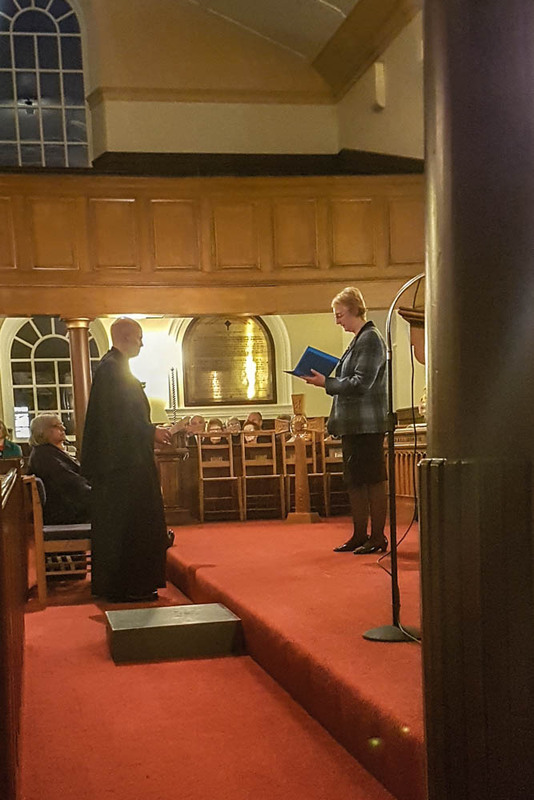 The Service of Induction of Rev Sean Swindells took place in the church on Friday evening, 29 March 2019. 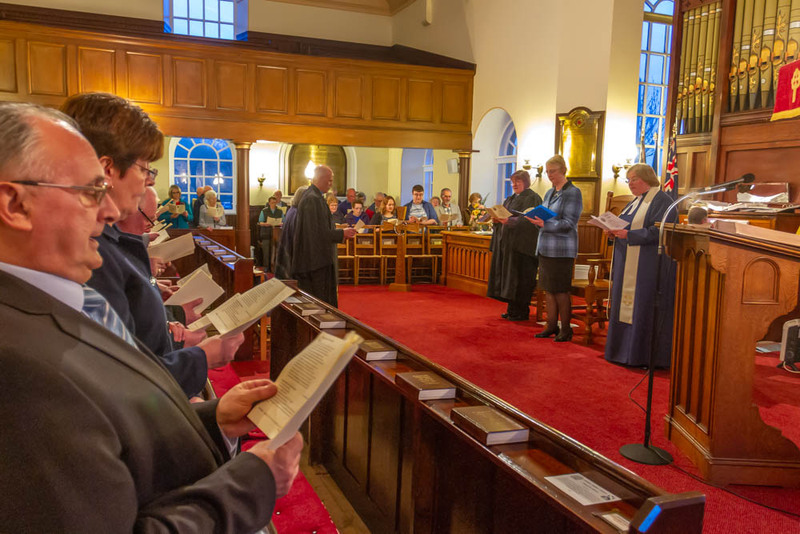 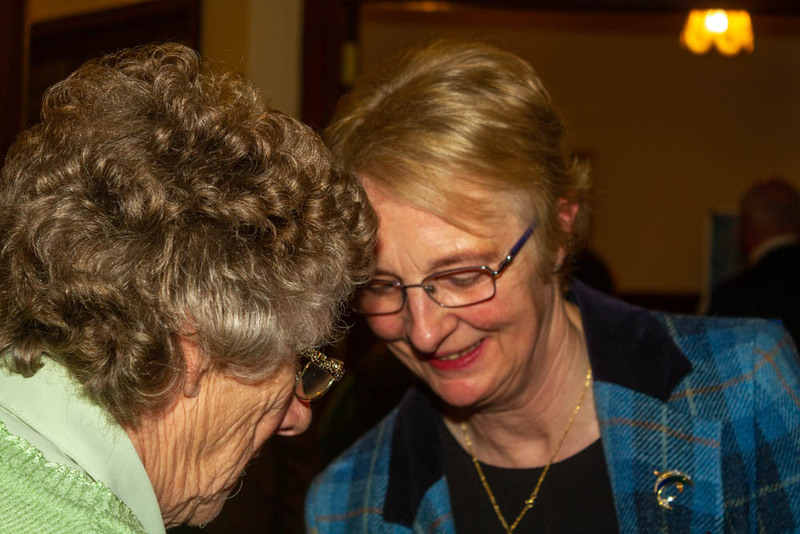 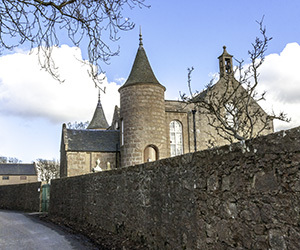 The preacher was Rev Aileen McFie, minister of Maud & Savoch and St Kane's New Deer; Mrs Maureen Essen, Moderator of the Presbytery of Buchan officiated. 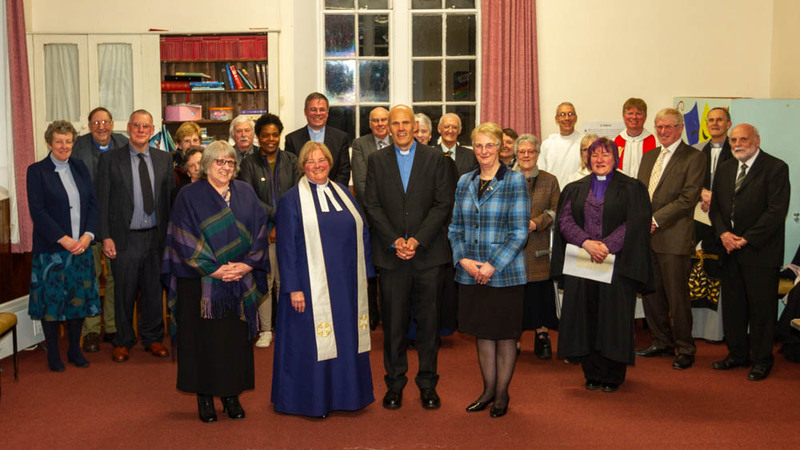 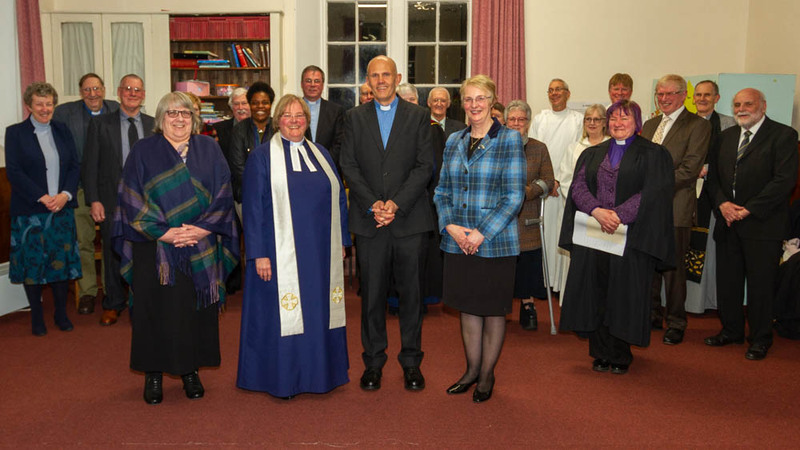 Left to right: Ms Ali Macleod (Interim Moderator), Rev Sheila Kirk (Presbytery Clerk), Rev Sean Swindells, Mrs Maureen Esson (Moderator) Members of Presbytery and guests are behind. 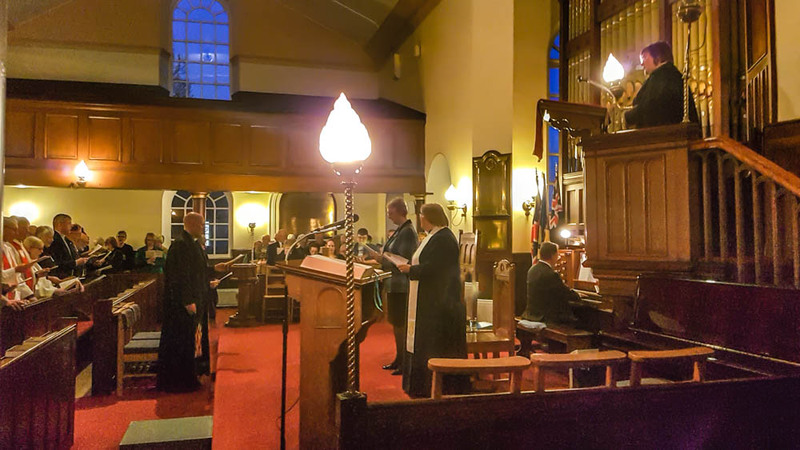 Robert Esson, the Session Clerk, led the congregation in prayer. 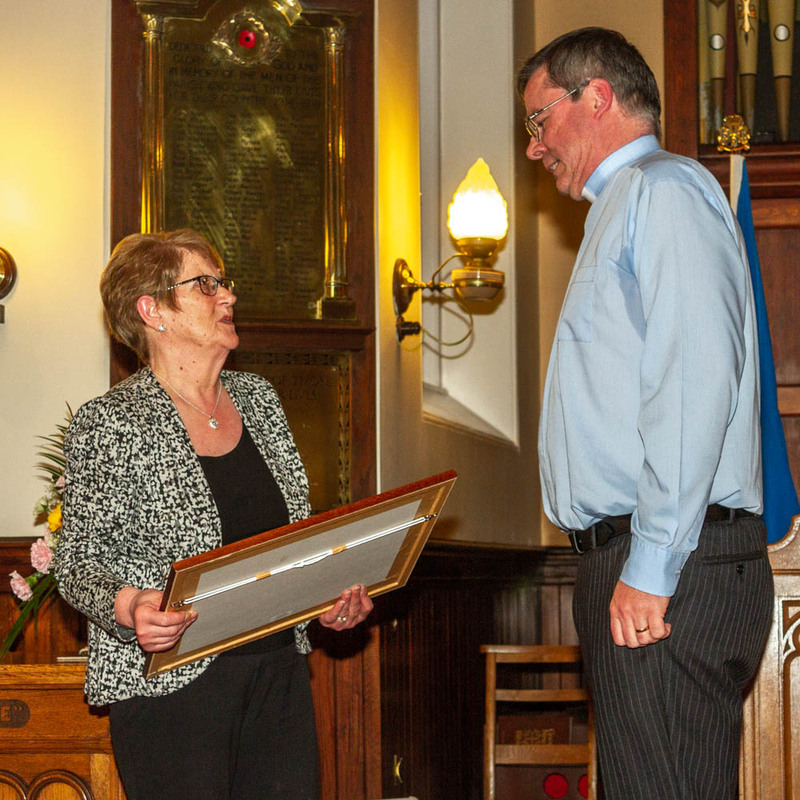 Thne Moderator, Mrs Maureen Esson inducted Rev Sean Swindells to Cruden Parish Church. 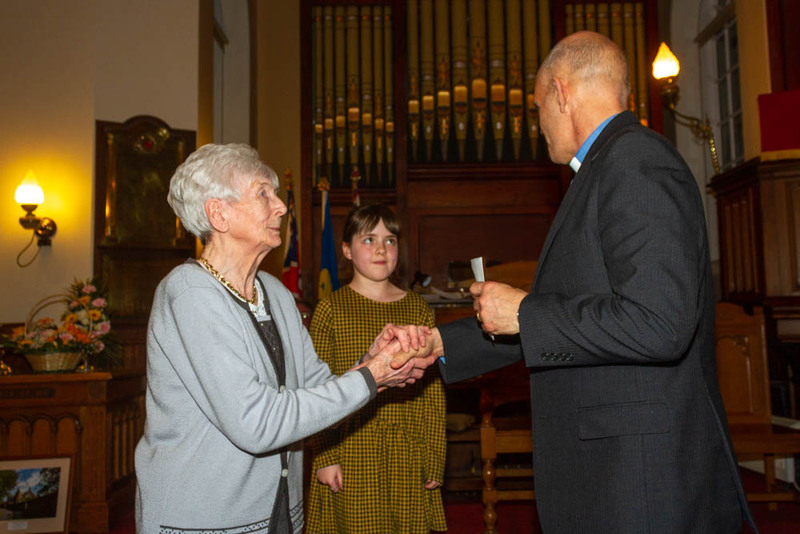 Mrs Betty Morris, the oldest member of the congregation made a presentation to the new minister. 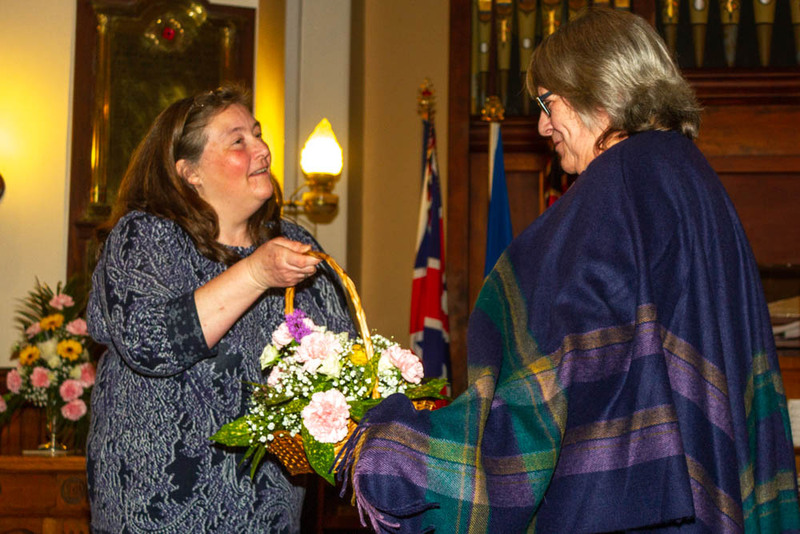 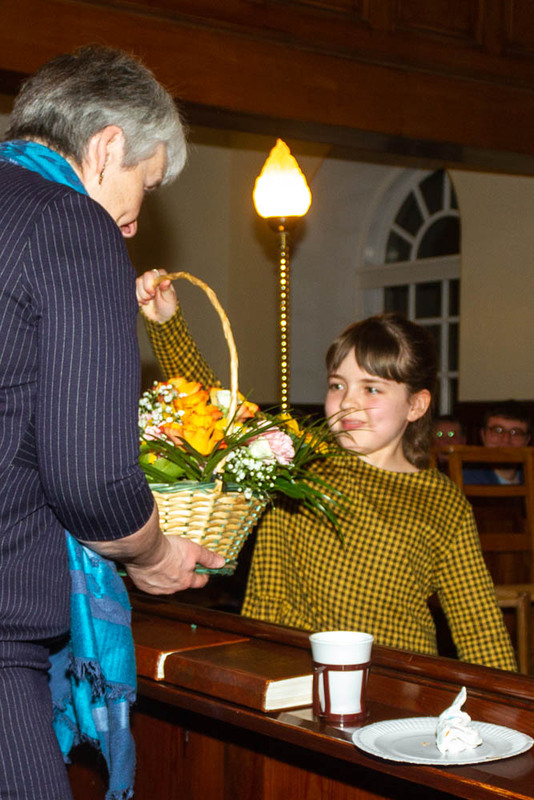 Sean's wife, Rev Alsion Swindells received a basked of flowers. 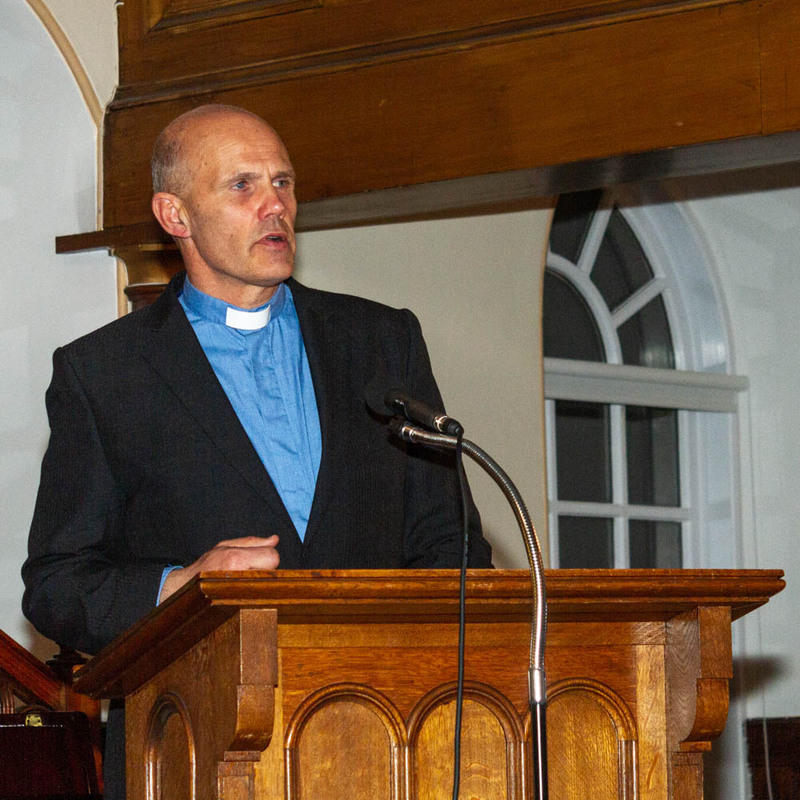 Rev Sean Swindells addressed the congregation. 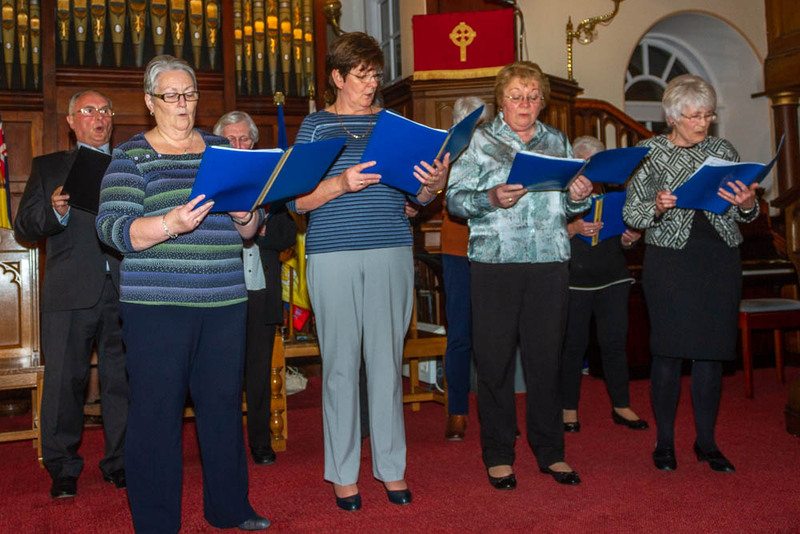 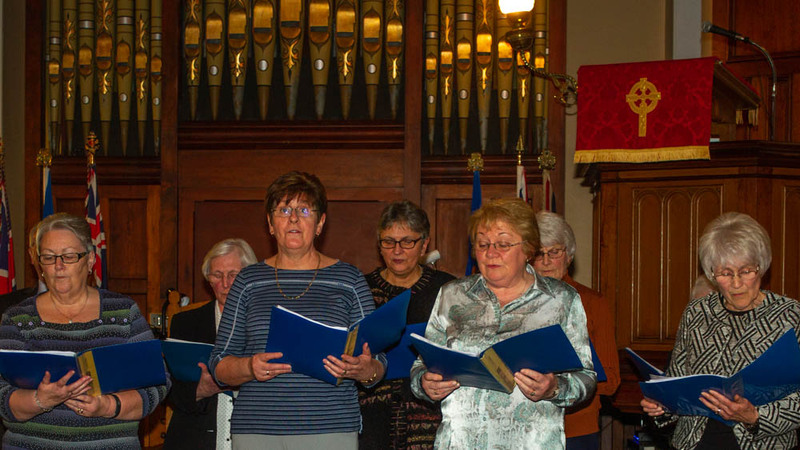 The choir sang a variety of pieces, much to the delight of the congregation. 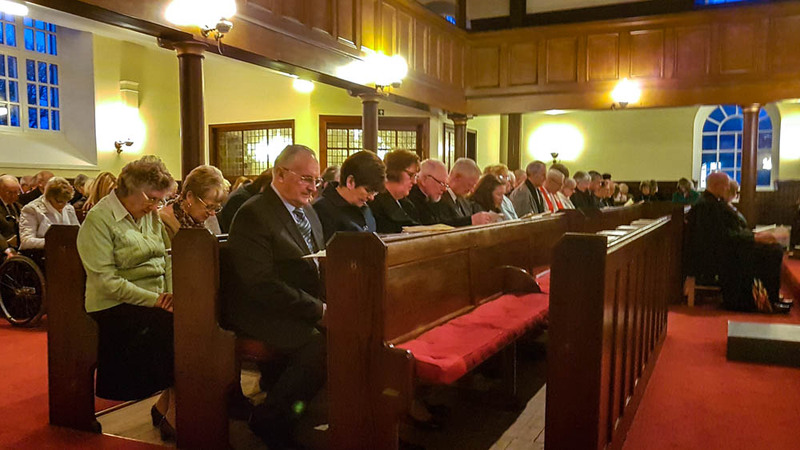 The previous Interim Moderator, Rev Bob Fowlie, received a framed photograph of the church in thanks for his work at Cruden. 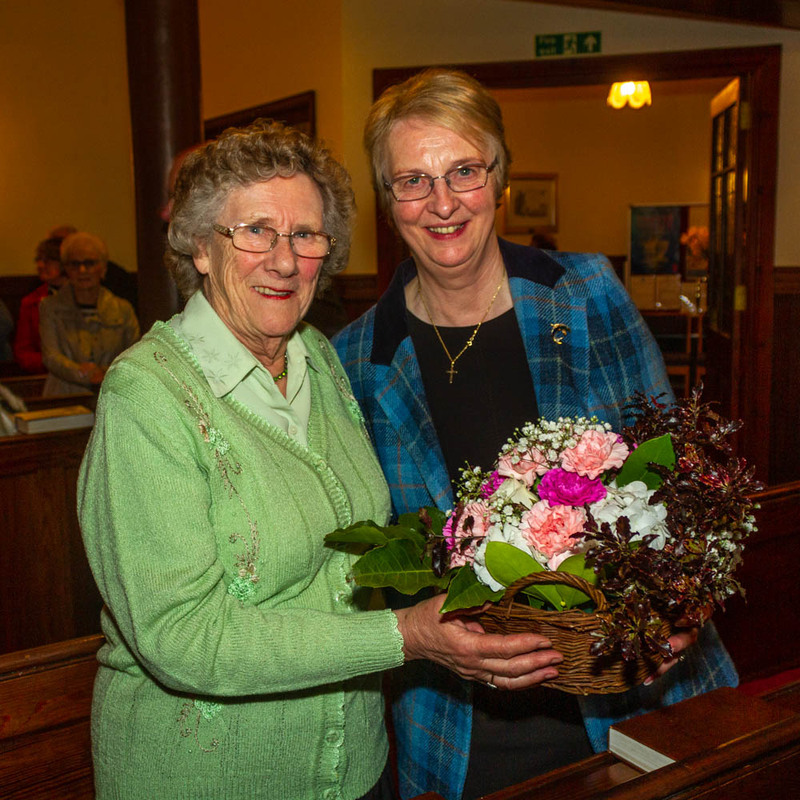 Flowers and a framed picture of the church were presented to Ali McLeod, the Interim Moderator. 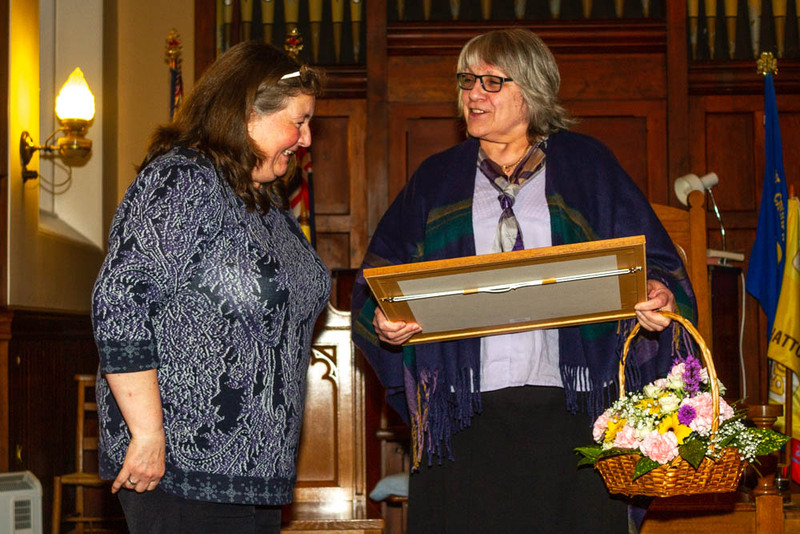 The Moderator, Mrs Maureen Esson received a basket of flowers. 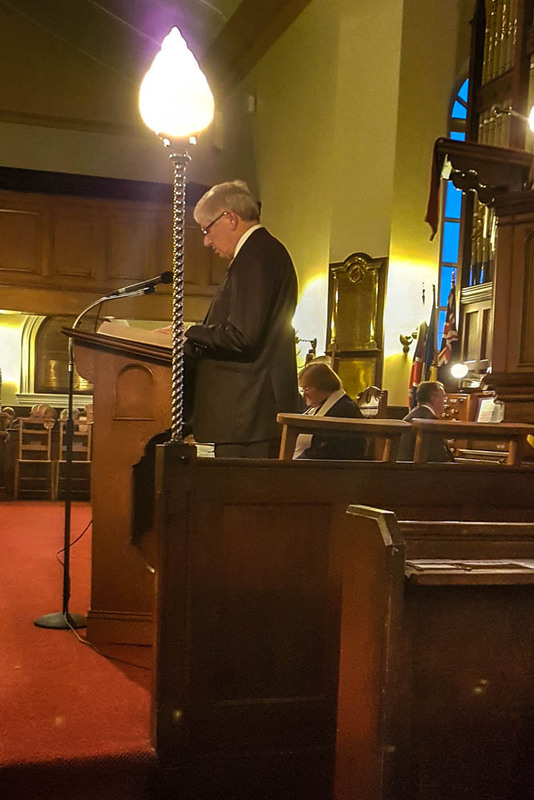 Bob Forman, who chaired the Nominating Committee gave the vote of thanks.